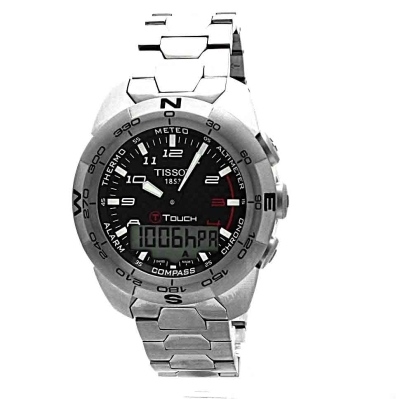 The rugged T-Touch Expert features chronograph, altimeter, compass, barometer, alarm, thermometer backlight, 2 alarms, more accurate atmospheric readings, second time zone and is now 100 metres water resistant. This version is fully titanium with a brushed, rugged metal titanium finish, fitted with a quality titanium Tissot bracelet and carbon fibre dial. Great service from Watch Shop as usual...I read a lot of reviews online before buying this watch. I am going to be using it while I am travelling and it has all the features I require. In fact it has more features than I need but its nice to have them there...The watch itself is quite big so not for the weedy wristed among us but at the same time, due to the Titanium case and bracelet it is very light. This is what appealed to me the most. Even though the watch is quite chunky, it doesnt feel it when you are wearing it. I love the touch functionality which works flawlessly and the red luminescence is very prominent which is nice. I adjusted the bracelet myself in about 5 minutes. Very easy with the right tools. The first noticeable thing about this watch is just how light it is for its fairly chunky size. Although lightweight, the watch still oozes quality and feels very sturdy. With plenty of excellent features, this watch is perfect for the modern man. All this made even better by the excellent service that Watch Shop provide. The order process was smooth and delivery quick. Overall a very good watch buying experience. 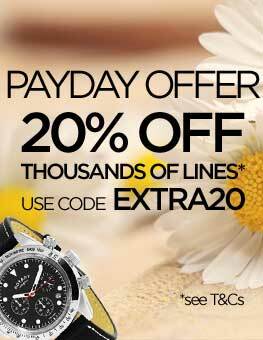 Excellent quality watch with fantastic service at a great price. I had been looking for a watch that had an altimeter and compass. I already had a Tissot but it was more for formal war. This is a chunky watch but with a clear face and ticks all my list of requirements. I found the manual difficult but quickly found a Youtube video that demonstrates in ten minutes how the watch can be used. Excellent watch, just as i expected. Had it now for a few weeks keeps perfect time. Had no problems with marking the titanium. Would recommend Tissot to all my freinds. Ordered on Thursday evening, the watch was picked, packed and dispatched Friday and I received it before 9am Saturday morning. The watch came in original box with a completed worldwide warranty card. Everything works perfect, except the thermometer which takes readings from your arm, but this was expected before purchase. The watch is quite big, but this is one of the reasons I bought the watch. Watchshop also price matched the watch for me as Id seen the watch cheaper elsewhere. Very pleased with my new watch. I have used TIssot touch before and wanted an d watch with improved facilities. I have no issues with my new purchase as it looks the part and meets my expectations. I would recommend both the product and your company to any prospective buyers. Thank you for your prompt attention. Was very impressed by the delivery service. The watch is very nice and boxed well. Not sure if it's worth £685 , seems alot for something that just looks like a typical steel watch. Although it does do what other watches can't. Happy with the product. The perfect gadget for someone who has eveything ! Full of features and the "Touch" aspect is fun ! Well presented in gift box. I am very happy with the purchase. Very attractive watch, very lightweight for its size. Fuctionality is good. I would have liked the option to give a wrist size so it could have been delivered with the bracelet adjusted to my size - as it was I had to take it to a jeweller and pay to have links removed. I was not impressed with the fact that there was a price tag on the watch - showing a price a lot less than I actually paid! This watch is fantatsic. I like the touch screen feature and specialy weather, compas and altitude features. Despite the large body, the titanum case makes it lighter that many other watches. Watch Shop service and delivery was perfect. 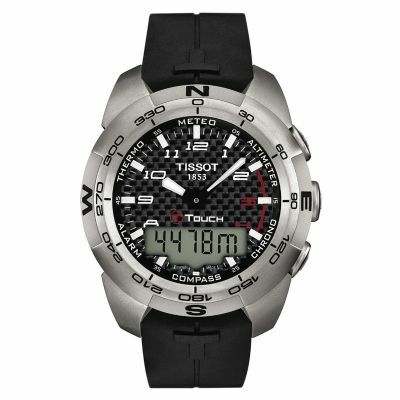 The Mens Tissot T-Touch Expert Titanium Chronograph Watch T0134204420200 is a superb piece of technical kit that looks good and delivers on every function that it provides. It meets all my expectations. All the features that 007 might need in a watch. Good and heavy enough to know that it is excellent quality but light enough not to get in the way. I've owned this watch for a month and a half now, so this is an honest real world review. The watch I got was a Tissot T-Touch Expert, it was bought to replace an original T-Touch. The first thing that strikes you compared to the original is the size, it is a bigger watch, but compared to the original steel version the titanium of the new watch is much lighter. The fashion for bigger watches makes the T-Touch Expert look perfect. It workes injust the same way as the old one with a few new features, like a 2nd time zone. It also has an improved Meteo and altimeter sensor. The digital display now glows with a red light to aid night time time telling. The compass, which is the best function in my opinion, is still spot on. I must say that the titanium does scratch easily, but it's a working watch and that should be expected. The battery in my old T-Touch lasted seven years, this watch probably won't last that long, but it does have the option of putting the watch to sleep if not used for a long period of time. The strap is very comfortable and fairly easy to adjust, if you can push out the pins that hold it together. I used a sewing pin cut in half and a small hammer to remove them. The Clasp is a push button deployment type, the same used on Omega Speedmasters and Seamasters. They are all part of the Swatch Group. An excellent watch, but if you have a small wrist then I'd go for the smaller version. hello after several hesitations i decided to buy this watch i'm really comtent its qualitée recommend watches . Watch is brilliant, really pleased though the box was damaged (dented) which was a bit disappointing for a quality product. I received my order, very pleased with the watch, the quality, I really liked them, and not a little importance to the manufacturer's warranty. 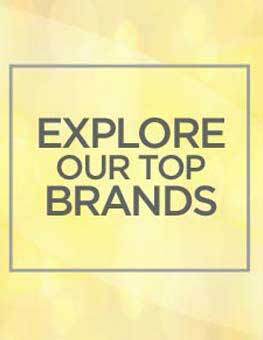 Store is very nice, good quality. WatchShop will recommend to friends. 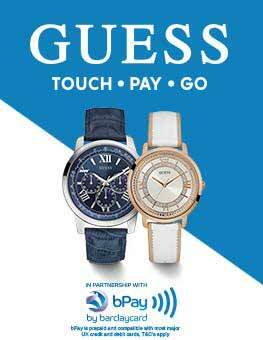 And if you thought up any more to buy a watch, then of course ask for the purchase of WatchShop. Top quality watch - does what it says on the tin. Still to set the compass and altimeter but sure that will be straight forward. Needed to get a couple of links taken out of the wrist band by a local jeweller. Excellent watch with round titanium case and bracelet. Very light. It is a multi functioning watch with altimeter, stopwatch, compass, 2 alarms, second time zone, backlight, meteo, thermo and luminous dial. It is 100 metres water resistant. What a great watch! Came as promised in pristine condition in its box with all the extras. The watch strap adjustment was performed well and meant the watch was ready to go as soon as it arrived. Excellent service and excellent price! Many thanks to the Watch Shop! recieved this watch last week and have loved it the features are fantastic, the touch screen is easy to use and very cool! But this watch was different. I have ordered it to have as New Year gift. I was excited after I found how many functions it has. It is really useful!!! Looks really serious and it is made with Swiss precision. 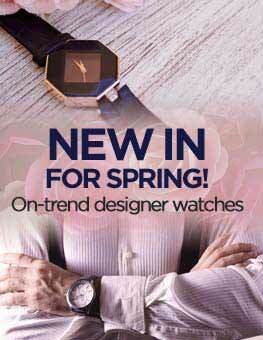 One notice - the color on the advertise picture is different from original watch collar. Real color is (I would say) grey silver with light tone of brown. See my enclosed real photo. It's been somewhat longer delivery than I expected. Ordered on 30/12, has not yet received the watch. 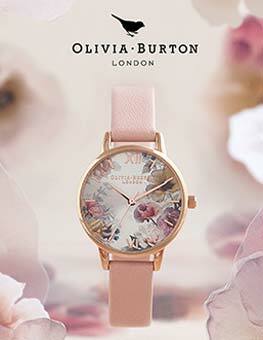 The watch is beautifully presented within its case. Due to its titanium construction the watch is very light for its size. The functionality of the watch is very good and it is very simple to use especially in a sports enviroment. It is also very tough and seems to be pretty resistant to scratches. This is an excellent watch just what I expected for the reputable brand of Tissot. The touch screen on the watch works great. Many of the touch screen functions have extra features that I was not aware of. The finish of the watch is very high quality brushed titanium. Would recommend this watch to other prospective buyers. Excellent service right from search to payment. I had a very good experience and would use this service in future. Great watch !!! very light and very good looking. Touch works just perfect, a lot of functions and looks elegant and sport at the same time. Came in beautiful package - perfect for a gift. I just want to express my gratitude to watchshop.com for understanding and same day dispatch. Thank you ! I am very satisfied with the watch. It meets all the high expectations I had after carefully reading reviews on the web. A very good watch much recommended. I particularly like the altimeter, barometer and compass features. The dual time and alarm settings are useful when travelling. There is a perpetual calendar to take account of different month lengths. The watch is a matt dull metallic colour which I find much more attractive than the bright silver of earlier versions. Being titanium the watch is light on the wrist and easy to wear. My only criticsm would be that the watch is not radio controlled to ensure tht the time remains accurate. This is a really nice watch, it's quite chunky which is good and has so many geat functions. The only negative is that titanium can scatch quite easily. This watch was never going to be purchased because I need what it does, it is simply just a toy. I don't believe what the Altermeter says - although it is probably that it just needs synchronising. But it is still a great gadget. I was afraid that such a chunky watch would look silly on my small wrists, but it doesn't. It is a big watch, but still looks great. I really wanted one of these watches for ages. I thought the steel version was too heavy so I got the platinum version. I love using the temparature and the barometer. My favourite watch. Great watch! Delivery was very fast and overall I'm very satisfied with this purchase! All as advertised. Fast and efficient. A very good service from this agency. The watch works as it should and has made a perfect gift. First quality watch. Extremely pleased with my purchase. First quality service from a professional company. Well done. Will definitely use them again as well as recommending them to my friends. Excellent watch, fantastic features - i've had the watch for one week and have used all the features repeatedly, including its compass and azimuth feature for hiking. The alimeter works very well although this feature needs to be calibrated with a legitimate source first (such as a sign post stating your current height above sea level). The watch feels very light due to its titanium construction and has a comfortable fit and feel. The carbon fibre back ground is a brilliant finish, with a race dial appearance for the numbers around the watches dial, these colours contrast well with the gun metal coloured watch strap. The sapphire screen gives great reassurance to keeping it scratch free - as the only material to scratch sapphire is diamond. Other than the altimeter and compass mentioned previously, there is also a barometer which works well for telling the upcoming weather, a Chronograph (stop watch), Alarm and finally a Thermometer (for best results for use, its better to remove the watch from wrist for 10 minutes to remove temperature anomalies from your body temperature). There is a neat backlight which lights up the digital display (red), and the analogue hands and numbers glow well for a long period of time to read in darkness. Overall i rate this watch 5/5, it is well made, good size - tells a statement but equally comfortable and durable, easy to use features (just hold down the T button on the right hand side and then touch the sapphire crystal screen in the allocated positions), looks good and is very well constructed. Dissadvantages of the watch in my opinion is the need to calibrate the watch for accurate altitude readings as it can be difficult to find this information locally, also, a simple radio frequency feature in the watch to automatically update the time when changing countries would be useful like other cheaper watches - however, this problem is lightened with the ability to store a secondary time zone internally in the watch to access easily when needed. I highly recommend this watch to anyone who wants a good quality watch with a firm well known brand behind it. Also, the keen hiker or outdoors person would benifit from this watch well due to its features supplied. I like that the watch is light and the titaniumfinish is perfect. The touch feature is awsome and the backlight a feature that makes the watch much better. I think the watch are a little to big/thick. Mens Tissot T-Touch Expert Titanium Chronograph Watch, is simply the best watch I have ever had.Though had to compromise a bit with price, and I must say before purchasing this watch I was bit worried about worthiness of money.But I received it and I was on the cloud nine showing off to my friends perhaps its well worth price with lots of features. The T-Touch Expert Watch is truly a superb piece of technology that has great functionality and style. There are too many features to describe here (Barometer, Altimeter, Compas, Thermometer, Chrono, Alarms etc) so I will simply say that the crystal glass is so clear at all times that it looks like there's no glass there at all and that being titanium it is much lighter than it looks in the pictures. Two drawbacks compared with my previous watch (Citizen SkyHawk) are: countdown timer does not auto reset to the start value, and no easy way to switch the hands to the alternative time zone. Fantastic watch and great price.Love how light it is.Been looking for one for ages and found this great website.Would definately use again. Superb Watch, titanium makes it light, functions even better than the origional. If you want a functional watch that is not only built to the highest standards but has the wow factor you won't go far wrong with the Tissot T-Touch Titanium Expert. Not only does it have an alarm, a stopwatch, dual time and a back light it can also convert into an altimeter, predict the weather and turn into a compass - yes a real working compass. This is by far the best watch I have ever had - forget your Tags or your Rolex this is the ultimate. Fantastic product, fantastic service. Smooth and reliable, and that goes for both the watch and the company. Received this watch the next morning after ordering and was very pleased. The Tissot T Touch Expert has been (excuse the pun) as smooth as clockwork. I have used this watch in everyday life in the office, as well as testing it in harsh skiing conditions (had some good fun with the features!). The Touch Experts' features are very useful and this model feels and looks good, whether you're in the office, out on the town, or adventuring around some far flung reaches of the world, it's the perfect Gents all rounder. It feels good, looks stylish and performs great. I went for the lightweight Titanium Model, which does scratch more easily, but not that badly, than the Steel version, but I find the weightlessness of this model comfortable whilst looking good, as opposed to heavier watches. As for the service, I have no hesitation in confirming the reliability and excellent service provided. And would recommend this product and WatchShop to anyone considering a purchase. This is the second Tissot T Touch that i have bought, the first was 2008 this one is so much better. Being able to turn of the display saving battery is a big plus for me as it is not worn all the time. Metro works better, night light, perpetual calendar all very good, And looks good as well. Wouldn't hesitate to buy another, cant wait to see wait the 2011 version has. Amazing service. Ordered 1 hour after next day delivery cut off, but still delivered next day at 10am. The watch is everything it is supposed to be. Took it to my local Timpsons to get 3 links taken out. Fits perfectly. Time date and everything already set up properly. Great. Brilliant seller. Watched the Watchshop video review on youtube and checked the fully detailed watch features and characteristics with amazing unbeatable price on the website. Immediate transaction and prompt delivery. Oustanding watch as expected. Will definetely shop again with Watchshop and suggest everyone to do the same. Thank you!!! Fast next day delivery, prompt refund of the 5 pounds for the strap adjustment. Made a query by email and received personal almost instatatneous response / top service. Would buy again from this site. Received the watch this morning and I can't stop playing with it. Its a lovely watch with amazing gadgets too boot. The Titanium feels lovely and for a watch of its size it feels very light. It looks amazing on your wrist and I can see me wearing it all day, everyday. All I can say is if your thinking about getting one then just do it, as you won't regret it. I am very pleased with the service got the watch when expected, and am very happy. I was very impressed with the quality of service received when I purchased a Tissot T-Touch watch. I am also very happy with the watch. It is exactly what I expected. My expectations were met. Thank you.